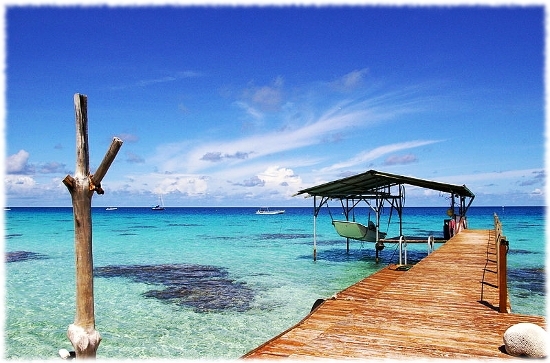 Go Out On The Boat Or Dip Your Feet In The Water? A dock leads you out to cool, clear waters. The water is so clear that it easily shows the white sand underneath. Farther out you see boats drifting lazily in water that’s dark blue. The sun’s rays are playfully bouncing off the ripples in the water and at the end of the dock is a boat, inviting you to join the others for a carefree day out on the ocean. And that does sound good. But for me I wouldn’t mind just to sit on the lower dock, put my feet in that lovely water, and soak in the sun for an afternoon. 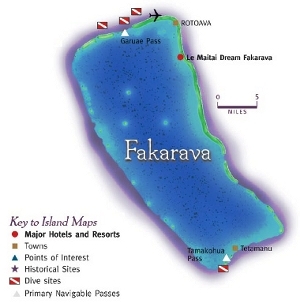 The beautiful picture is above of a little island called Fakarava in Tahiti. Known for it’s clean, unspoiled beauty, there’s less than 500 people living there and the area is so relatively untouched that it’s been designated a world bio reserve for the preservation of rare species. Tourists looking for an out of the way travel destination come here to see the wildlife ad scuba dive the clear, smooth waters. Everything revolves around the water and the biggest problem of the day for travelers is often having to decide whether to go out in a boat or dip your feet in the water. Now that’s a problem that I wouldn’t mind having :).